Last chance to win a 350 euro, transferable holiday voucher! Home > Blog > Last chance for our 2017 clients to win a 350 euro holiday voucher! Last chance for our 2017 clients to win a 350 euro holiday voucher! 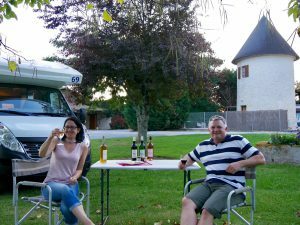 Everything we like in one photo from Andy: smiling clients, a motorhome and a French chateau! 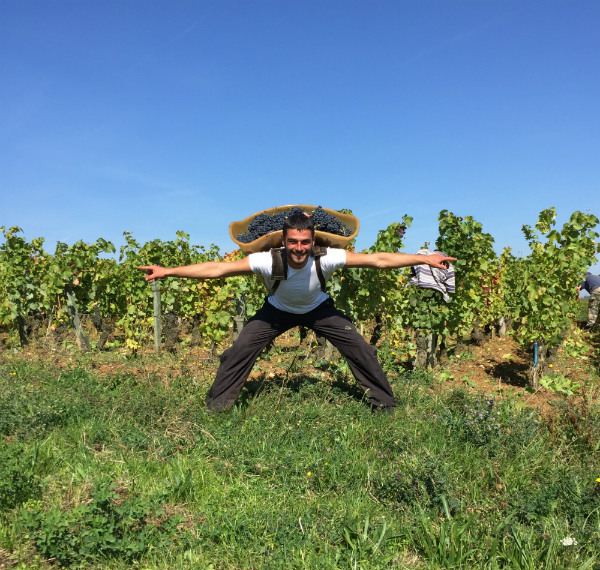 This really is the very last chance to enter your photos in ‘The France Motorhome Hire 2017 Photo Competition’. This year you have the chance to win a €350 voucher for use against a future hire for you to use or for you to give to a friend. The competition closes at midnight tomorrow, 30 November. Find out details about how to enter here. Among the entries for this year there’s a great diversity of photos, with arty shots, people shots and some stunning images of our pristine campervans. However, we can never have too many, so please keep them coming over the next 24 hours! There is a story behind every one of the photos we have received and a couple of clients have shared the stories behind theirs. 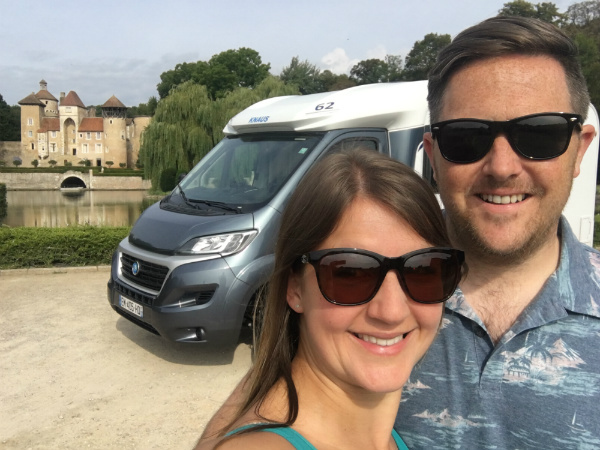 You can read Jerry and Anne’s story on our blog in ‘Anne & Jerry go camping in Burgundy!’ and Kerri and Sterling blog post on their epic, 20-day trip motorhome touring in France. If these stories inspire you to follow in their wheel tracks, why not plan your own French motorhome adventure for 2018? Get a quote for your hire now!